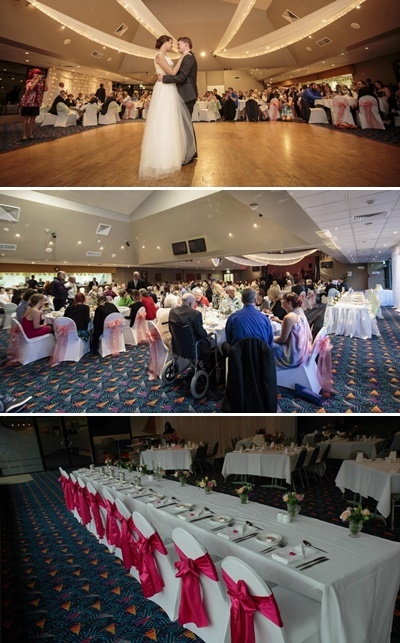 A Venue for Wedding Functions, Social Gatherings, Work Meetings, Community Groups. The Toowoon Bay Surf Life Saving Club Function Centre is situated on the award winning Toowoon Bay Beach and commands sweeping ocean and beach views, all within a 90 minute drive north of Sydney. The Function area provides table seating for 100 people or up to 120 for a cocktail setting. Club flexibility allows you to individually design your event and select the service providers of your choice i.e. caterers, bar staffing, florist, decorator and entertainment. If you require help with any of these arrangements, our Function Room Manager Jacqui Donadel would be happy to assist. For information, fees and availability, contact our Function Manager, Jacqui Donadel attoowoonslscfunctions@outlook.com or by phone on 0417 243 409. EV Church has many fantastic facilities that are available for external conference and venue hire. We can offer a variety of hire arrangements to business groups, community groups or individuals.Our facilities are ideal for groups that require large scale conference spaces, auditorium/theatre-style facilities, onsite facilities for catering, breakout spaces, and small, medium and large meeting rooms. Our venue rooms are ideal for groups from 15 up to 100, 300 or 1000+. Groups can choose to self-cater in our fully functional commercial-style kitchen or to order in external catering services. Our contemporary well-kept grounds feature extensive lawns and landscaped external gathering spaces and on-grade car parking with lighting for night events. Each of our buildings provide easy wheelchair and child-friendly access and fresh new amenities throughout the site. Our new auditorium features 1100 tiered theatre-style seating with Green Room and Parent Room facilities, wheelchair access, excellent sound and lighting facilities operated with fully experienced Tech support. Our foyer is creatively fit-out in a modern industrial/coastal vibe – a welcoming and relaxing place for visitors without a clinical corporate sensibility. The Foyer may be hired as an individual space in variety of layouts from standing cocktail party to seated dinner or seminar or as complimentary to the full auditorium booking. Barista cafe facilities are available as additions upon negotiation. Our facilities are available on Monday to Thursday during school terms with more flexibility during school holidays. For more information or to make a booking visit our website or call us on 4367 2100. The Entertainment Grounds is the perfect venue for your next function, wedding, conference or event, with a variety of flexible venues and spaces which can be tailored to suit your every need. Whether you are looking for the perfect wedding venue, a place to hold an outdoor expo, the ideal locale for a school formal or the facilities to run conferencing, our professional and friendly team are here to help make your event or function perfect. With ample free parking, and the finest in house caterers, we will take all the hassle out of organising your next event or social function. A major advantage of the Entertainment Grounds is the versatility of our rooms. We can accommodate everything from theatre style seating to dedicated presentation areas, individual workshop rooms to trade exhibits or product demonstration areas, all in the same venue. The Entertainment Grounds offers a variety of rooms along with manicured lawns and gardens that provide the perfect setting for your very special day. Be part of a growing number of wedding groups who enjoy their photograph in front of the famous winning post. Our experienced team of professionals at The Entertainment Grounds can assist you with your planning by offering you a complete bridal service and various packages to suit your needs. It’s your day and we are here to make sure it is everything you’ve been dreaming of. No matter how small or large your wedding is, The Entertainment Grounds can offer all the ingredients to ensure that your special day is an outstanding success. Our accommodation consists of 32 guest rooms, 21 of which sit right on the lakefront and we are AAA 4 star rated.